Since the 1992 Summer Olympics, one event i have always been seeing Live is the Men's 100 metre final. I missed the 2008 one though. Over the years i have been privileged to see some finest track and field athletes perform at their peak. 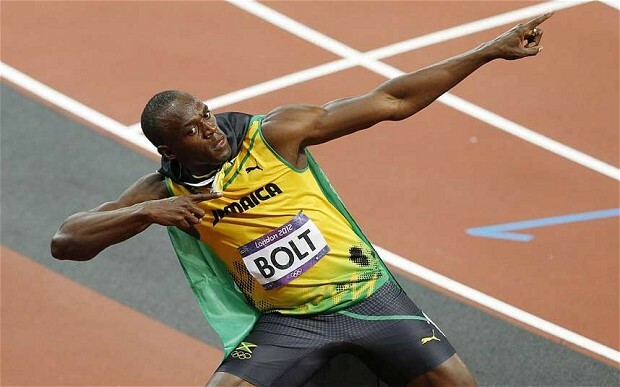 Carl Lewis, Michael Johnson, Linford Christie and now we have Usain Bolt. Everytime the 100 metre record was broken, one felt, it cant get any faster, but somehow someone always proved it wrong. And this time, had it not been for the over confidence of Asafa Powell, there would have been 3 Jamaicans instead of 2 in the podium. So after a good night's sleep, i woke up in the morning, strangely feeling extremely low. I need to do something about it. Strangely, this has been happening quite a lot on Monday mornings. So i decide to quickly freshen up and head out. Went to the bank to collect certain documents. Came home and enjoyed the nice rains and then back to the grind. I thought i would complete my work today and get everything online, but boy was i wrong. Just when i was on the verge of completing everything, another unexpected work takes about 30 minutes of my time. I wonder when will things go back to normal again. Now as i write this, i am watching some more of the olympic events. Pole Vault, 400 metres hurdles, springboard diving, weight lifting. Its also a very good olympics for India, considering we have already won 3 medals and one more is on the way. And if Vijender Singh gets through the quarter finals, the tally will be 5. A big big achievement considering that the sports culture in this country can be compared to bacteria culture.